We cater for all our customer's needs here on site. Want 250 business cards? - No problem. Want 5000 business cards? - No problem. 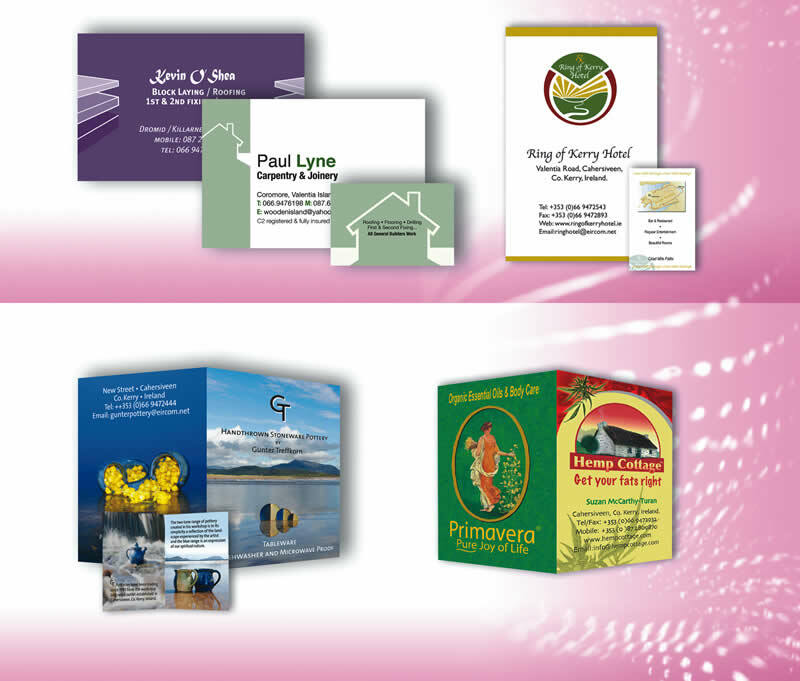 Business Cards are a must for everyone in the business world today. We have a business card for every application. We use only the best boards available: 350g white/cream, linen/hammer and ZETA for our single colour cards; 350g white gloss board with a matt laminate finish for our full colour cards. What ever your choice, the finished cards will give you the perfect introduction.